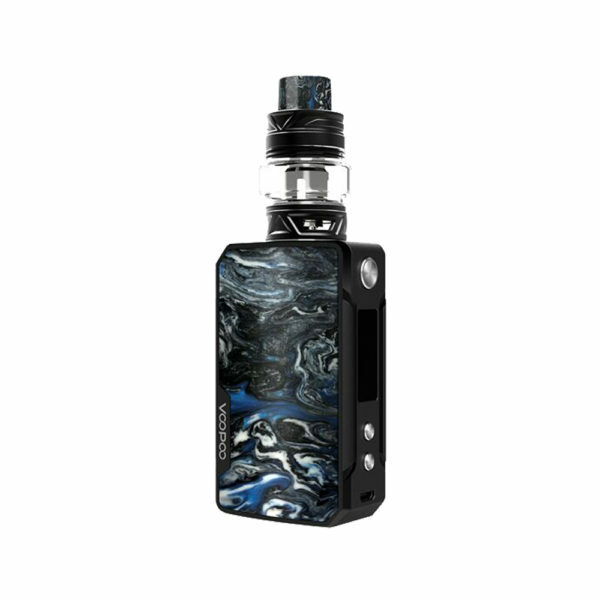 VooPoo Drag Mini Kit comes with Uforce T2 Tank and features GENE Fit chip hidden behind the unique resin panels. The innovative FIT mode with 3 levels, that helps determine optimal output for your tank. With a large 4400 mah built-in battery, that has maximum output of 117 Watts. Significantly smaller than the VooPoo Drag Resin 157W, the mod is equipped with a crystal OLED display to show parameters of device such as mode, resistance, voltage and wattage. The Uforce T2 tank features 5ml large e-liquid tank and utilizes new mesh coil to bring better flavor.